Ever wish you had a crystal ball to predict consumer behavior? Enter psychographics, your personal soothsayer for your consumers’ values, interests, lifestyle, attitudes and opinions. Reaching beyond demographics, psychographics help you understand personal preferences and behaviors. Demographics, of course, has its place in targeting your audience, but when combined with psychographics, you get a complete look at your audience. This means you can be much more targeted with marketing and brand messages that are more personalized and meaningful. Healthcare is very personal; being able to personalize your messaging by truly understanding your audience will bring a wellspring in return for your effort. Not only does it help you connect on a personal and emotional level, it builds that vital relationship brick by brick so you can become a trusted friend and eventually, as we are all focused, gain brand loyalty and advocacy. Connecting with consumers who are influencers and trusted advisors within health and wellness for their family and friends can extend your brand reach and be a boon for your population health programs. Knowing who you are talking to is imperative. Are you talking to someone whose family and friends view as a trusted advisor for their healthcare questions? Are they an influencer or trusted advisor on physical fitness, healthy lifestyle and/or nutrition? Are they focused on a natural, healthy lifestyle or do they buy mostly processed or junk foods? How could having these deep insights change the way you approach population health? Understanding your consumers’ behaviors and lifestyle can help you reach them on a personal level to make behavior changes that will improve their health or help keep them moving in the right direction for continued health. Connecting with consumers who are influencers and trusted advisors within health and wellness for their family and friends can extend your brand reach and be a boon for your population health programs. We can understand who our audience is, but digging deeper into the why behind their behaviors and learning as much as we can about their intent and motivation can pull back the curtain on our consumers and reveal how to get them to make that sometimes elusive behavior shift. 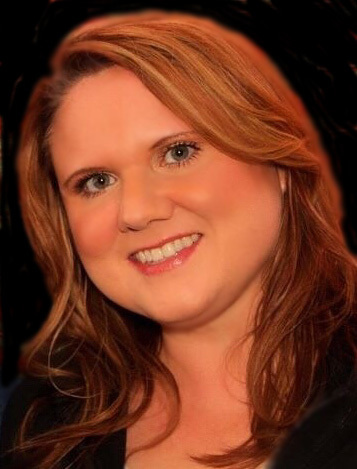 Amy Owens is a seasoned healthcare marketer with 15 years of experience. As the Director of Strategic Accounts at LionShare, she leads the Client Services team and is responsible for building client partnerships and developing and executing strategic marketing solutions. Prior to LionShare, Amy served as Director of Marketing and Communications at St. Francis Health in Topeka, Kansas and Team Leader of Marketing and Communications at Mosaic Life Care in St. Joseph, Missouri. She earned her MBA at Baker University in Baldwin City, Kansas. To contact Amy, feel free to email amyowens@lionsharemarketing.com or call 800-928-0712. © 2019 LionShare Marketing, LLC. All rights reserved.